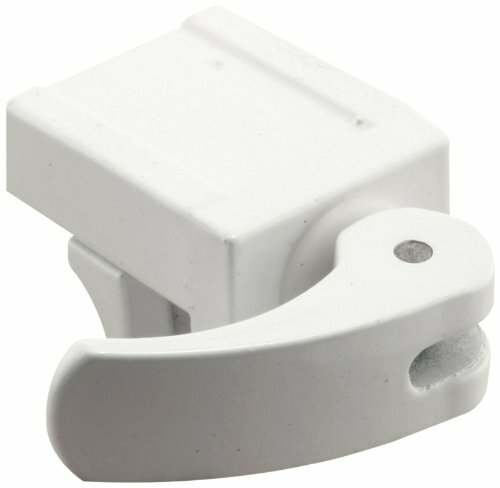 This window lock is constructed of diecast and comes in a white painted finish. It is designed for use on vinyl sliding windows only, and features an adjustable jaw that fits all vinyl frame rail thicknesses from 1/16" up to 1/2 in. thick. The “vise-like" grip holds securely and will not mar nor damage the vinyl frame. No tools are required for the installation of this secondary security lock, and it can be used on both horizontal and vertical sliding vinyl windows. National Hardware N346-201 V6201 LokkLatch in Black, 4-9/16"